On Oct. 12, the Salem College Art Department opened a new series of exhibits in the Fine Arts Center. The exhibits on display are “American Folk” and “Proof + Disappearance,” both of which display a variety of photographic styles and “The Butterfly Man,” a set of collages. Lisa Elmaleh has worked with the art department at Salem for three years. This week, her exhibit “American Folk” was put on display in the Mary Davis Holt Gallery in Salem’s Fine Arts Center. Elmaleh experiments with different methods of photography, including some from the 1800s. In this exhibit, she used a photography method known as “tintype”. Equipped with a bed and dark room, Elmaleh worked entirely out of her van to create her photographs. Elmaleh traveled throughout Appalachia to take photos of folk musicians for eight years. Her exhibit captures what can be best described as backwoods Appalachia, and features instruments from banjos to washing boards. Sam Watkins’ new exhibit, “The Butterfly Man,” resembles geometric embroidery. However, his work is a variety of collages, in both abstract and non-abstract styles, which use butterfly wings as a medium. The wings were collected from a variety of African butterflies which were recovered from the field of wings located in the Serengeti Plains. According to Watkins, “there are about five of us,” referring to the artists using the butterfly wings as mediums for creation. A large portion of the profits made from this exhibit will be used to support communities in Africa, where Sam Watkins grew up and began his artistic career. Watkins’ work can be found in the Velma Mason Davis Gallery. Diana Greene, a local to Winston-Salem, has been practicing photography for fifteen years. Her exhibition currently on display in the Mary Davis Holt Back Gallery is called “Proof + Disappearance.” The exhibit focuses on women and their movement. Her current exhibition does just that, using vibrant colors and multiple exposures, an artistic method in which multiple images are superimposed on one another, to create the illusion of movement and emotion. 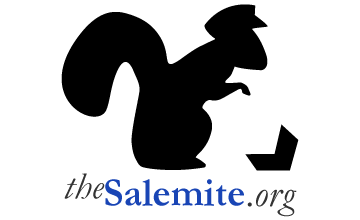 All three exhibits will remain on display in the Salem College Fine Arts Center until winter 2019.